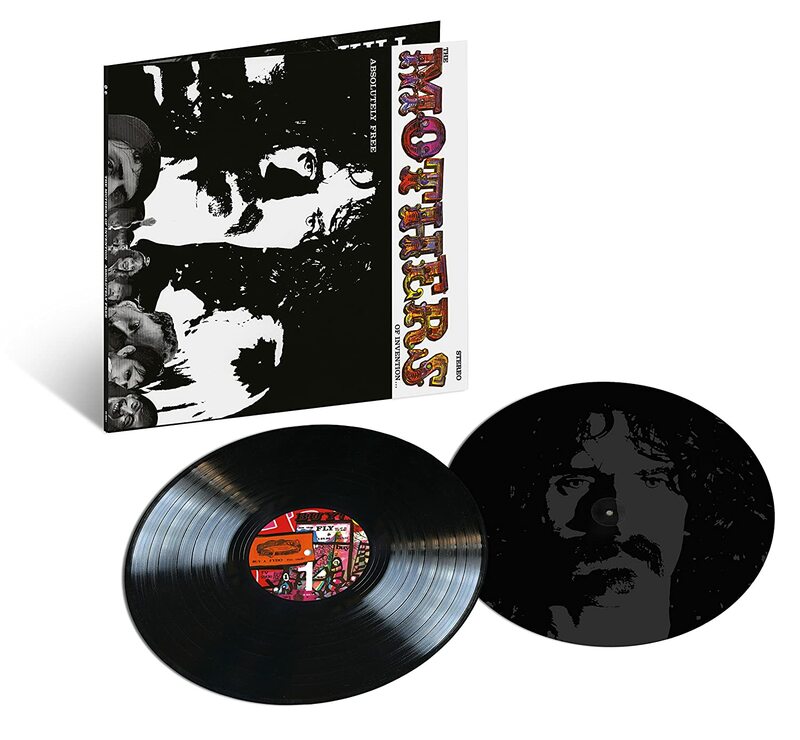 Amazon.com: The Zappa Family Trust marks the 50th Anniversary of Frank Zappa & The Mothers Of Invention s 1967 album Absolutely Free with an expanded vinyl-exclusive edition on September 29th. This double 180 gram LP version will include the original record mastered by Bernie Grundman & cut directly from the original analog master tapes, plus a laser-etched additional disc including 20 minutes of bonus material from the Vault. The package features FZ's original layout & libretto. Absolutely Free turns 50!! Anyone know if the "1969 Re-mixes" of Brown Shoes and America Drinks and Goes Home are from Mothermania or some other source? Brown Shoes '69 remix was released last year on "FZ For President" CD. It's noticeably different, but nothing special. If this LP is around $25-$30, I'll probably grab it. I'm done waiting. If you're a friend, you've probably received a nugget or two from me in the past. Check your messages. The tambourine, among other things, returns to the mix. Music has always shown how people think and feel, according to John Tasker Howard. He is probably right. The music of the MOTHERS speaks of the feelings of what might be described as THE VAST MINORITY. The feelings of the people on the fringe of everything . . . the ones who don't care if they're IN or OUT . . . don't care if they're HIP, HEP, SWINGIN' or ZORCH. This is the audience the MOTHERS want to reach . . . those few who have the power within themselves to cause or motivate social change but have never used it for one reason or another. If you are reading this and understand it (even if you have short hair and watch TV 18 hours a day), it is time that you realized WHO and WHAT YOU ARE. It is time you realized what the words to our songs mean. This album was recorded the week before Thanksgiving, November 1966 in Los Angeles at the Sunset-Highland Studios of T.T.G. Inc., in a series of 4 sessions (about 25 studio hours). It was edited and re-mixed in New York City at the MGM Studios in 5 sessions (about 35 studio hours) the following week. The album was finally released around May 26, 1967 . . . the reason for the delay? Partly because of this libretto. The original plan was to include with the album, the words in this brochure. The record company attempted to censor the words, and a long involved discussion ensued. We were forced to manufacture this product. The music itself took several years to compose (AMERICA DRINKS & GOES HOME was written in 1964 . . . most of the other segments were written before or shortly after FREAK OUT, our first album, was released in 1966). We hope that this material will help you to enjoy our work on a more personal level. I got my copy last week, it sounds great!